Information such as your name, address, zip code, telephone number, email address, credit card number and or any other personal information that you chose to provide during or after creating an account with Romik.com. is kept private and it is not shared with marketing companies or any partners affiliated with Romik.com Website browser cookies are collected and stored as preferences. The information is sometimes used to remind you that you have visited our website at some point in time. We do not share any personal information. Romik.com incorporates physical, electronic, and administrative procedures to safeguard the confidentiality of your personal information, including SSL (Secure Sockets Layer) for all financial transactions through this Site. Romik.com is a google trusted store. Romik.com uses SSL encryption to protect your personal information online. 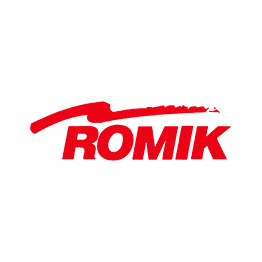 Access to your personal information is restricted only Romik.com employees who need access to your personal information in order to perform a specific job are granted access.